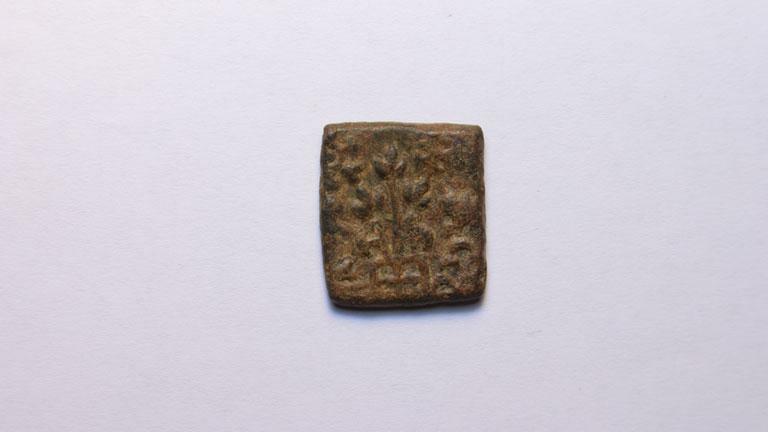 These coins belong to the Sangam Period that is from 250 BCE- 3rd CE. Obverse: Tree in railing with Buddhist symbol is visible. A bull facing towards the left and six arched hills with fairies symbol is also depicted. 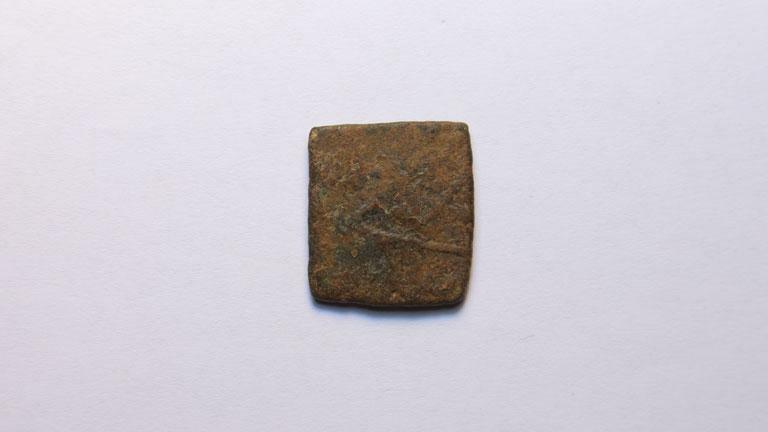 Reverse: A stylised fish symbol can be seen here.